Brig-Gen Tamir Yadai admits that potentialy lethal incidents involving live fire, explosives are becoming more frequent. 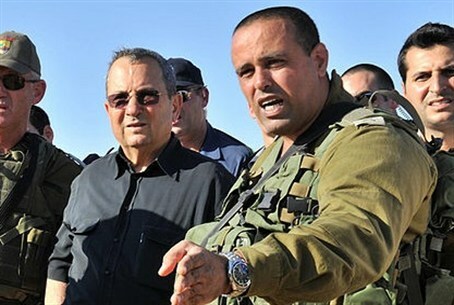 Brigadier-General Tamir Yadai, Commander of the IDF's Judea and Samaria Division admitted this week that terrorism in Judea and Samaria is on the rise, and becoming more lethal. "The threats that are currently trending upward include more resistance during arrests, including live fire at times, and better developed terror infrastructures,” he explained. "We increasingly encounter cases like the terrorists who were eliminated this week in Yata – armed terrorists with explosives in the vehicle, as well as explosives laboratories,” he told the officers. “There are threats that we want to prepare the forces for. We could find ourselves in a different reality and we are preparing in all dimensions – from exercises to professional seminars – so that we will not be caught unprepared. Central Command Head, Major General Nitzan Alon, said that there has been a spike in independent attempts to carry out terror lately. “We see a rise in terror, and it is very important to continually deal with improving the operational level” of the IDF, he said. The IDF has been sending out contradictory messages this week, with a senior officer telling the Knesset that there has not been a rise in the number of terror attacks in Judea and Samaria, but that there has been a marked rise in casualties. Supposedly, this has to do with the fact that there are more residents in Judea and Samaria, while the IDF has scaled back its protection of them.